Sollten Sie UNBEDINGT LESEN wenn Sie betroffen sind! Thank you for your email, I have received several similar emails, they are appreciated even though they make me feel uncomfortable. I am fine, and my family are most precious in my life. My dogs have never been better, and my Videx Rakell is an absolute superstar, and I don’t say that without sincerity. I wrote in my IMPRESSIONS what I genuinely felt. Around the World, many people read my IMPRESSIONS, some enjoyed them and others hated them, and many shades in between, it was also like this in Germany. Until the SV take positive steps towards securing our breeds future through integrity, honesty, fairness and transparency, our breeds hobbies and sports will disintegrate. The SV started the colour testing then after 1 year stopped it, a victory for the cheats. SV Judges can still Judge dogs that they breed, and dogs that they have sold, or they have placed in someone else's name. This is fundamentally wrong! 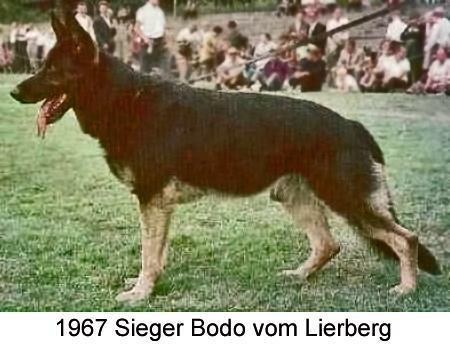 Judges at the Sieger Show appear to favour dogs owned or connected with other judges and their friends, the same happens with top males for decking’s, judges have priority because the owners know they need progeny bred and owned by judges. Money rules the breed, in Germany and all around the world. There is very little equality, fairness or honesty in our sport. Anyone who challenges any or all of this is criticised and pilloried both directly and indirectly, especially slyly “behind the hand” by those who gain most by the current system. These people have ‘followers’ who do their bidding, and go anonymous on the internet to spread their spineless garbage. I am now giving consideration of leaving the show scene, and all that entails, and simply enjoying my dogs away from the evil which besets our wonderful breed. Not writing my IMPRESSIONS 2008 is a step in that direction. Far too few honest and sincere people in our breed are prepared to put their heads above the parapet and speak or write about all the wrong that is being done, and pursue major changes that are so desperately required. Our breeds future is precarious and there is very little hope. As hope disintegrates more people in our breed will leave, and who can blame them? I daresay Tibet will be independent quicker, than that the SV Kennel Club will change its ways. However! We already have a black president in the White House (which was considered impossible). 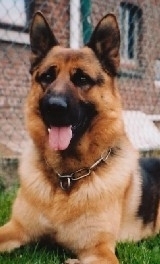 Now we need a black Pope in the Vatican and only then will we have… a new Kennel Club. (While there’s life, there’s hope!) 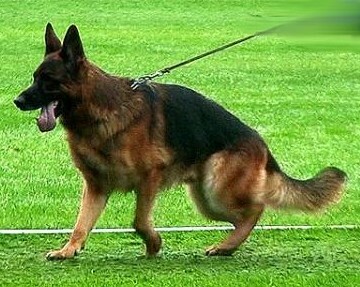 By that time however, the healthy GSD could already have completely vanished." 40 Years of conformation, or must I say... destruction? And they still don't get it, do they? All problems with spondylosis, canine hip displasia and cauda equina syndrome are SV-self-inflicted! No question about it. One cannot outwit nature with that speed and force. The hyena-profile has been completed, thanks to SV-show-judges! SV-National Breed Warden Reinhardt Meyer has lead his judges into completing the hyena-profile of the GSD. THIS IS NOT what we understand by improving the breed! We can do nothing but wonder, if it can go any further yet. Although the maker of the video certainly had no intension whatsoever to prove my thesis, unvoluntarily he does. Do watch it, it's an eyecatcher, very well made, good music, and very, very sad! Full credit for this wonderful footage must go to: EDUARDO DURÁN HAEDO. If it hurts you as much as it hurts me, then please do react. after the Sieger Show in Ulm, a lot of people went home with shattered dreams. I myself have noticed, how my predictions and fears have sadly enough been confirmed once more. With tears in my eyes, feeling very sorry for the untrained dogs AND the unprepared owners, I have watched the Schutzdienst, a hallucinating experience (once again?) Folks! THIS is the worldchampionship! Don't come unprepared! 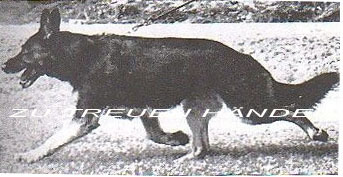 1985 German Shepherd Dogs might have been registered for the contest allright, but only 912 finally made the Standard. Way too many competitors did not even make it past Schutzdienst. The result of bad management and bad steering at the top of the association?